If you are a local or a visitor, this series of articles will provide a definitive guide to enjoying what these areas have to offer (sights, architecture, shops, etc…) while having access to good restaurants and bars. 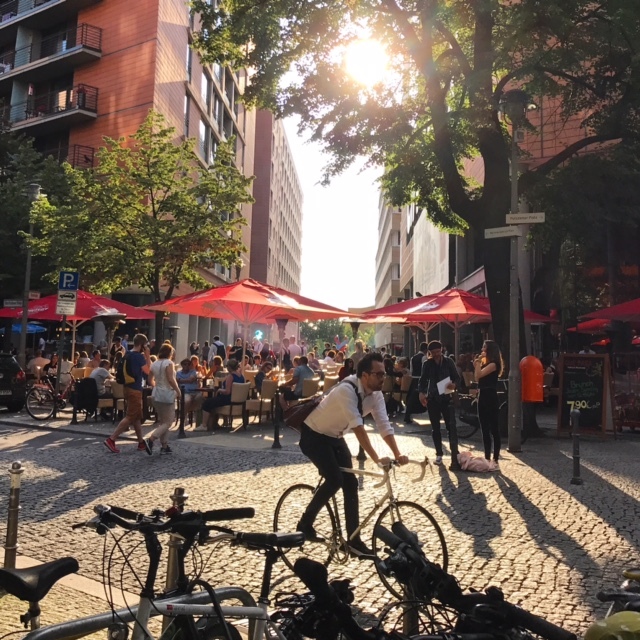 Let’s start with one of Berlin’s most emblematic areas: Retaurants and bars around Potsdamer Platz! And let’s make it easier, but giving you tips by category. Enjoy! 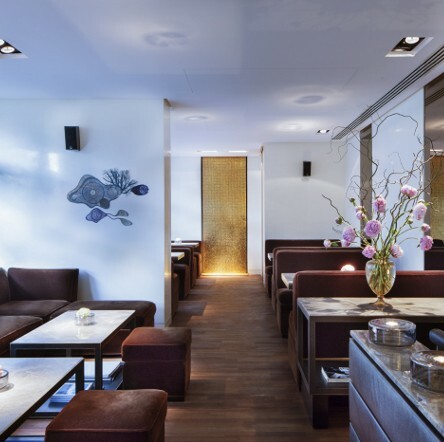 Facil is perhaps the finest dining experience available around Potsdamer Platz. It is a restaurant with two Michelin stars. Luxurious, elegant and pushing avant-garde cooking techniques. 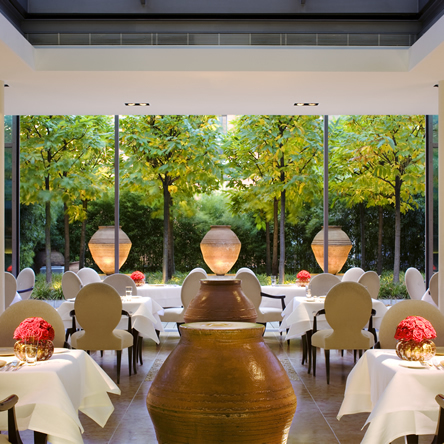 Head chef Michael Kempf is known for stunning dishes that are both refined and understated. Facil’s design is stunning with a lush green garden view. 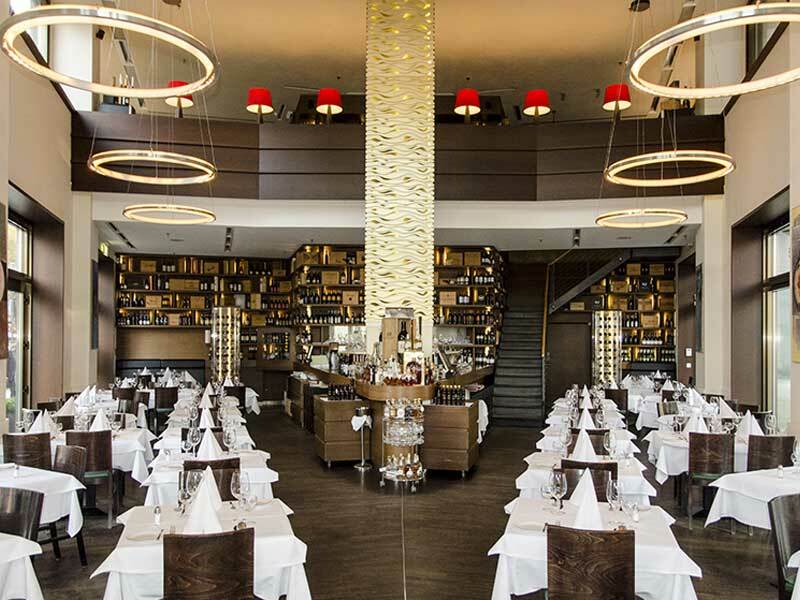 Experience traditional German/Austrian cuisine in the historical Weinhaus Huth. Small but sophisticated, traditional yet cosy. Lutter & Wegner’s dark-wood bar, its large picture windows and the classically set tables create a charming atmosphere. This place is a wine shop, delicatessen and restaurant in one. It serves a hearty and regional cuisine. Make sure to enjoy the terrace in the warmer months. Ristorante Essenza is a higher-end Italian restaurant. It focuses on seasonal dishes from the “Cucina Italiana” with a heavy emphasis on preserving the essence of natural flavours. The wine menu is stellar with a selection of over 750 labels, including rare harvests. Essenza also offers a yummy and more affordable weekly lunch menu. Alt Bayern is a bavarian style restaurant. The staff welcomes guests in leather pants and Bavarian shirts. The kitchen serves traditional South German classics. Even though the food menu is quite decent, we prefer to come here for a beer early in the evening. Salomon Bagels, you guessed it, focuses on bagels! The popular roll with the hole in the middle. Apparently there is quite a complex production process. Bagels are cooled and boiled before baking, which gives them their distinctive flavour – quite different from classic German rolls. Their menu offers quite a selection of bagels, oriental dishes like couscous, falafel and hummus, as well as freshly cooked seasonal dishes. 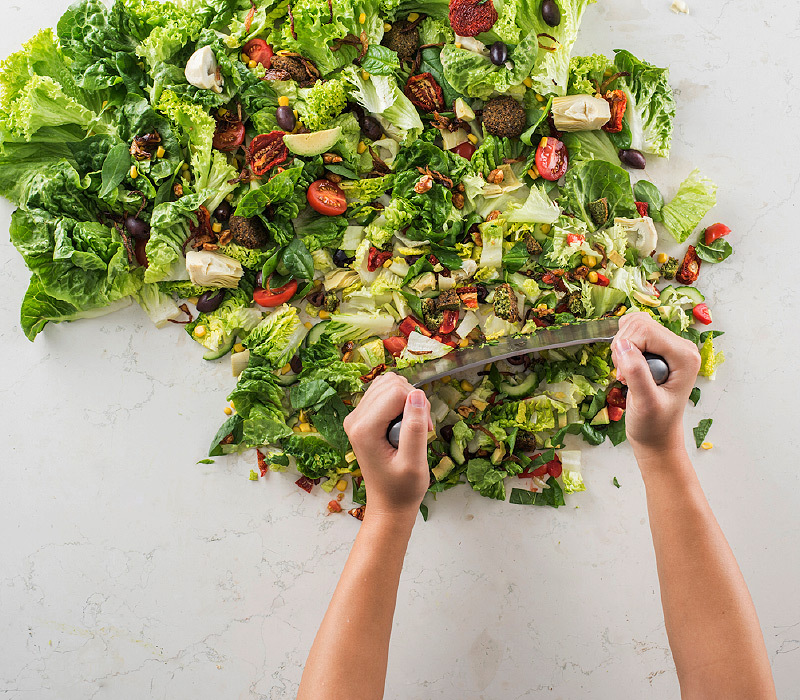 SALAID promises a “whole new way to eat salads”. Salads and ingredients are prepared and chopped right in front of the guests. Come here if you are craving that easily customized fresh salad. They have a few options with quite healthy and filling ingredients. I have to say we were quite satisfied with what we got here. 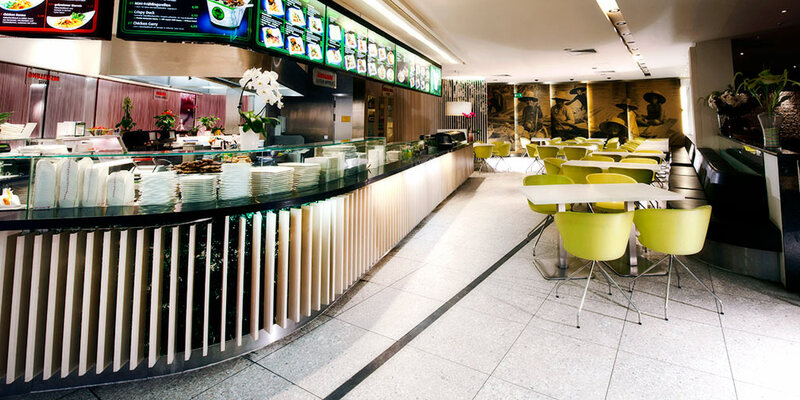 Asia Gourmet is a chain of Pan-asian restaurants, usually found in the major train stations and malls. It is our “go to” Asian joint when we are in for a quick and flavorful Asian option. Sometimes we come here and get our food “to go”. We then either have our meal on the grassy and beautiful Tilla-Durieux-Park or around the stunning Piano Lake. The Coffee Shop is slightly reminiscent of a Viennese coffee house. The design elements are stylish and cool. Come here for very well prepared specialty coffee drinks. The small snacks and cakes on offer are also quite tasty. A good place to spend some time enjoying the locals go by or just working on your computer. Hop on Europe’s fastest elevator (100 metres in just 20 seconds) and enjoy great cakes and coffee with a stunning view of Berlin from the 24th floor. Panoramacafé also offers 360° views over Berlin and when the weather is nice, go up their rooftop terrace for the perfect sunset. There is also an open-air exhibition space that showcases the History of Potsdamer Platz! 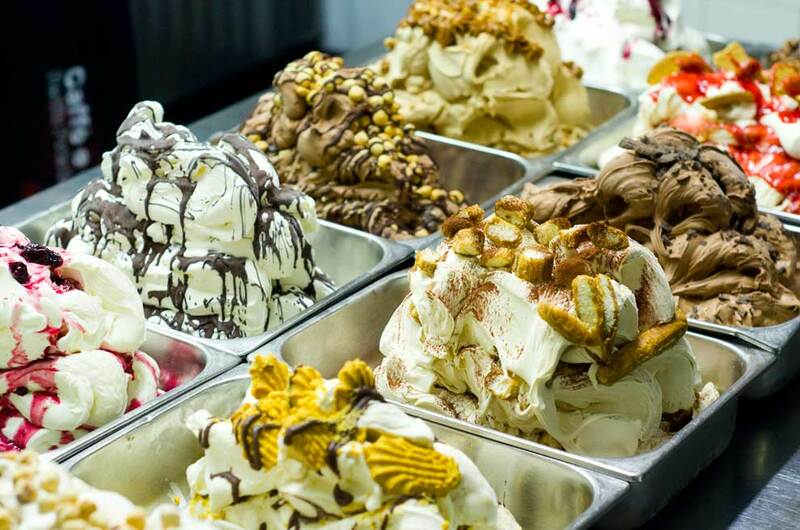 “Caffè e Gelato” is considered one of Germany’s best ice cream parlours. In fact, the Chef just participated in the Gelato World Tour! Perhaps the best around this neighborhood. They offer unique ice cream flavors that are developed in their own laboratory. Think organic, spaghetti-style, even sushi-like mini morsels. Everything is prepared in-house. Even the waflles, chocolate and fruit toppings! 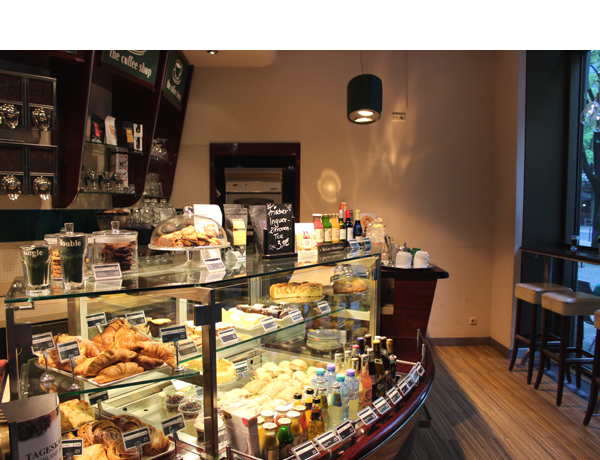 Established in 1928, Wiener Conditorei Caffeehaus is one of Berlin’s most traditional coffee houses. Fresh ingredients, in-house confectionery, delicious cake creations, Viennese desserts, French pastries and peti fours. You can get it all here. They even make their own ice cream! The menu also covers some savory options and of course, coffee! 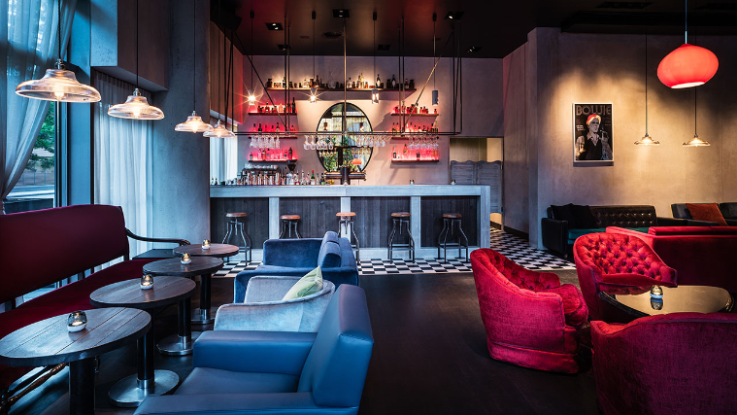 Jamboree is the new stunning bar concept by Grand Hyatt Hotel Berlin. A very well curated trip to the 80s. From the bar décor to the interpretation of classic cocktails, Jamboree delivers a true 80s vintage feel. Yes, even the drinks are named after song hits from the 80s, like “Der Kommissar” or “Love will tear us apart”. DJ sounds take over the space from Thursday through Saturday from 10 PM. QIU is bar/restaurant. This funky bar looks out across the Boulevard of the Stars, a nice spot to watch the hectic life outside, while sipping through your cocktails. The clientele is a bit “businessy” but the lounge design and the first class cocktails surely merit a visit. Momsen Eck is regarded as The “House of 100 Beers”. Beyond the amazing beer selection, this place also serve traditional German cuisine. 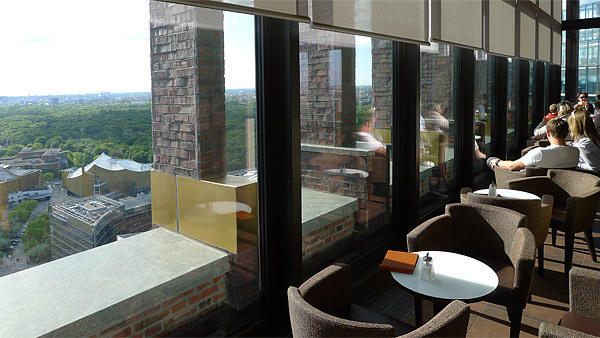 The restaurant’s panorama window looks directly out across Fontaneplatz in front of the historic Haus Huth. Sit outside for a fun “happy hour” during the warmer months. 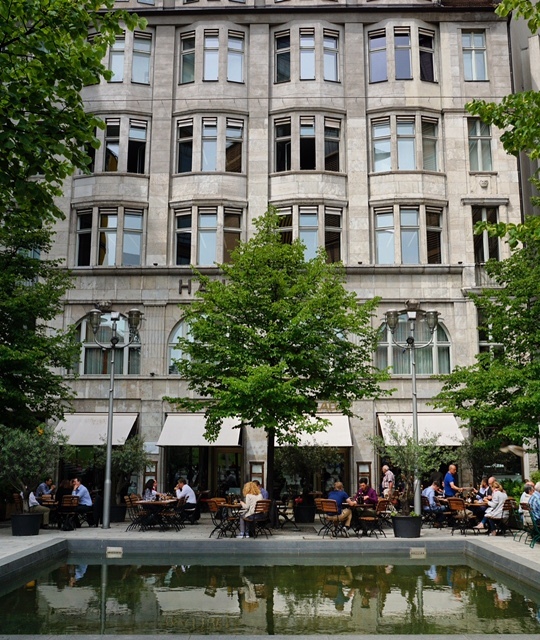 Check out our article about “Non obvious things to do around Potdamer Platz” as well. For more ideas on what to do in Mitte, check our Mitte Neighborhood Guide.